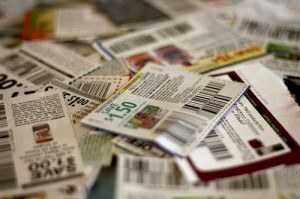 We all know that clipping coupons can have a positive impact on your bottom line. A number one complaint to the method, however, is that you might get stuck purchasing items you don’t really want, or that the coupons seem to always be for the same brand name items (processed foods, for example). By going outside of the most common methods of coupon procurements, like the Sunday paper circular, you can broaden your coupon horizons and find some high-value savings opportunities for all of your favorite items. This hot online property isn’t just a place to catch up with high school buddies and post pictures of your new baby. It’s also a great place to have conversations with your favorite brands and be alerted to exclusive savings opportunities. The best way to know about a hot freebie or high-dollar coupon is to already “Like” your favorite brands on Facebook. Scan their updates from time to time, and you’ll likely get printable coupons that no one but their Facebook fans have access to. I know what you’re thinking: “Isn’t my inbox cluttered enough?” With so many email newsletters getting lost in the clutter, however, brands are having to be very aggressive with the incentives that they use to keep you subscribed and that help push you to open each message. Would a “buy one, get one free” coupon help you to stay on the mailing list of a brand name diaper company or the tire store down the road? If the answer is “yes”, you’ll likely find signing up for select offers from the companies you know and trust to be a valuable endeavor. Did you know that you can get coupons sent straight to your smart phone, and that the cashier can actual scan them directly from the screen? Sites like Yowza and Coupon Sherpa make it easy to find valuable savings offers that you can access straight from your phone. This keeps it simple to manage your coupons and eliminates the paper trail of traditional clipping. Even mega-retailer Target is getting into the game. Check out their mobile application that sends you savings via SMS alerts that you can take to the store with you! Yep, it pays for make friends these days, especially if they happen to save coupons for you! I usually ask all of my relatives that get the local paper, but don’t coupon, to save their inserts for me. Other shoppers have found like-minded people in online forums or through blogs that they trade coupons with. It’s the graciousness of those who don’t use coupons (but that understand their value) that can keep those of us who do use them in the coupon game. It doesn’t hurt to ask! While there are places that you can buy coupons from (including Ebay), I always encourage people to find creative ways to get them for free. You don’t want to reduce your savings potential by having to reach deep into your pockets to get them in the first place. What places have your discovered to get the coupons you use most often? I liked the post but I wanted to add another place – coupon trading. This lets people maximize their coupon use and pay it forward the coupons they would not use. I wish we had more mobile apps that work in Canada. Yes, coupons exchanges can be great thing! I didn’t include them, only because I have zero experience with them, personally. They would fall more into my Kindness of Strangers category, because I’m not likely to have much to exchange for. LOL Thanks for the link to the coupon trading site! I was unaware of these places thanks for sharing. I am using free online coupon sites to save my money but now I’ll consider them as well.